Mmmm, have a hankering for some juicy human thigh? 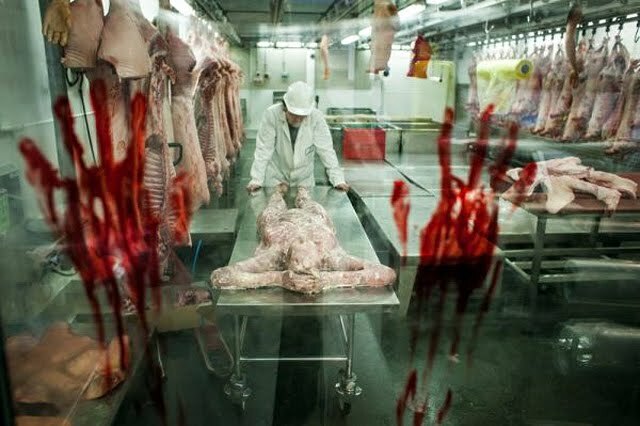 There's a butcher shop for that. 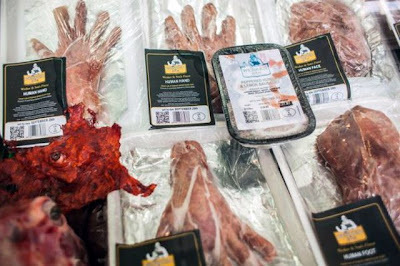 This pop-up butcher shop, created in London to promote Resident Evil 6, takes passerbys into the creepy world of the game's butcher, Wesker & Son. As if this weren't awesome enough, the bloody limbs are actually edible.